The duo from Boulder, CO really has out done themselves with their new album NOCTURNAL; not only is it free but it’s also phenomenal. This is one of those albums that can literally melt your face while you are melting away into your couch. If you haven’t heard of this electronic duo I suggest you go to their website, and take full advantage of the free download. 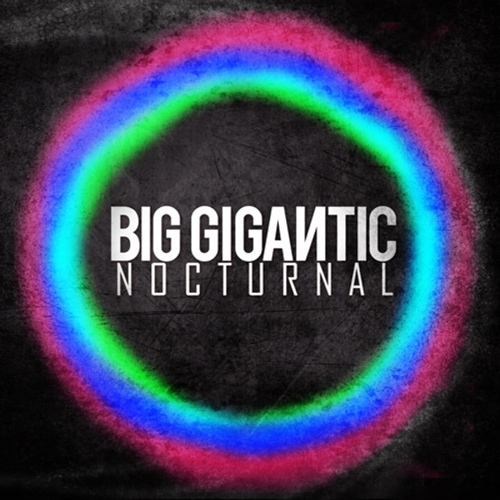 Once you start listening be fully aware that you will need about 53 minutes of your day to complete the voyage into a futuristic space that is NOCTURNAL by Big Gigantic. The track “Beginning Of the End” blends melodic horns with an electro-funk sound in such a way that this is far from the Beginning Of the End for these two but rather the progression into the bright future. After you download this album feel free to download the rest of their discography from their site. Now that they have hooked you up, return the favor and hook them up by attending one of their shows. If you like the music, you will love what you will see while in attendance. Trust your ears now and your eyes later. This entry was posted on Thursday, January 12, 2012 at 10:43 am and is filed under Album Download, Audio, Media with tags Big Gigantic, Boulder, Electronica, NOCTURNAL. You can follow any responses to this entry through the RSS 2.0 feed. You can leave a response, or trackback from your own site.